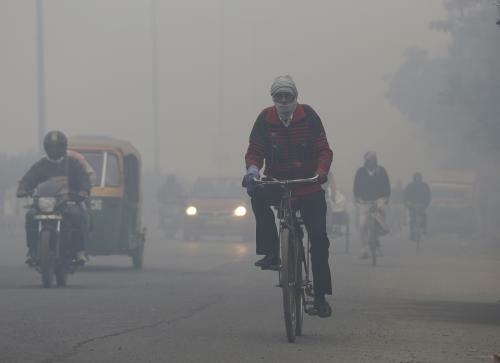 The winters are knocking at the doors in northern India and the climate grows cooler so also brings the problems of smog and a dense cover of pollutants that’s enveloping Delhi and other cities nearby. This problem becomes acute when the winter sets in with the burning of stable. The climate also brings about a change in our eating and clothing habits. The woollen comes out along with that the thermal market hots up every year. Its being 15 years since the first thermals came into the market and since then it has created a category of its own and a market for itself. There are major brands who are doing more than 100 crore of sales and many fringe brands who notch up enviable sales in the season. This category has eaten into the traditional sweater and woollen market and is today seen as a main challenger to this erstwhile market. We have done several focus studies on thermals in our previous issues, but this category still astounds me for the interest it generates and how on a low base they have created a virtual category of their own. The EBO story is getting curious by the hour considering the no of brands that are willing to jump in in this capital intensive business. One major push came in 2008 when a lot of companies adopted the EBO route to branding and brand penetration, a lot many burnt their fingers and a few were able to stay afloat. The second coming is now which started in 2015 and still continuing. We bring you a second part of this story to uncover this fascination of the brands with their EBO’s which while adding to their top line hasn’t seen adding too much to their bottom line. We continue with the Aubade story where we left off in the anniversary issue, highlighting the need of pure seduction and lure as brand attributes in Indian context. Someday we will have our home grown brand also talking in similar tones. There is a vast market to be addressed but it has to be handled quite deftly and sensitively. The party scene is going to get louder with every passing day and we have something for the party freaks to keep their adrenalin pumping. The question on most entrepreneur is how to learn the holy grail of lingerie business and we have an article written by experts with easy tips to follow. So much to uncover and learn this November, we’ve had a jolly good time putting it together for you. Hope you enjoy every bit of it. Do write to us what you find good and what didn’t interest you. Keep your feedback coming. And have a good tuck in for the winters.